Mount Vernon United Tenants (MVUT) is a grassroots, community-based organization that has been providing principled and effective tenant assistance for over 30 years. As the only funded and staffed Tenants Association in Westchester County, NY, MVUT is essential for protecting and extending tenants’ rights. Mission: MVUT is a city-wide tenant membership organization whose mission is the use and/or control of the housing stock in Mt. Vernon for low and moderate income people. Programs: MVUT’s programmatic efforts fall under three (3) broad categories. 1) Homelessness Prevention Program (HPP): MVUT provides intensive case management services for tenants at-risk of eviction. Services include assistance in securing rent arrears; landlord/tenant mediation and negotiation; preparation of meritorious defenses for court cases; assistance in filing Order(s) to Show Cause (OSC); collaboration and cooperation with Legal Services of the Hudson Valley. MVUT helps stop over one hundred and fifty (150+) evictions annually! We are also able to help re-house approximately three dozen (36) families or individuals annually. In addition to eviction prevention services, our intensive case management services help tenants with hundreds of various other landlord/tenant issues. 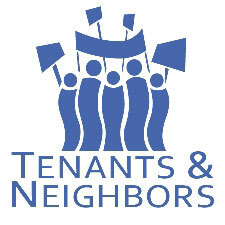 2) Tenant Action Program (TAP): MVUT organizes unorganized tenants within individual buildings to fight for increased services; a lessening of landlord harassment; and more affordable rents. We work closely with the local code-enforcement office to monitor complaints; and where applicable (for those buildings covered under the New York State Tenant Protection Laws), we assist tenants and tenant associations in filing administrative complaints to New York State Homes and Community Renewal. We also work with Legal Services of Hudson Valley to assist tenants and tenant associations in organizing to file affirmative court motions and/or organize rent-withholding efforts designed to force landlords to maintain services via court orders. 3) Policy Advocacy (PA): MVUT advocates on all government levels for policies that benefit tenants and all low- to moderate-income residents. Local – successfully pushed the Mt. Vernon City Council to increase the benefit level of a complete exemption for eligible seniors under the State Senior Citizen Rent Increase (SCRIE) Program. County – Initiated and led the campaign to push the County Board of Legislators to pass a non-discrimination ordinance in renting based upon “Source of Income” e.g. Section 8, Department of Social Services, etc. We provide testimony and organize tenants to go to annual Westchester Rent Guidelines Board (WRGB) Public Hearings/Meetings. Statewide – Main suburban group in the state Real Rent Reform (R3) Campaign to renew the State Rent Laws a year early and to strengthen them by removing “vacancy decontrol,” the mechanism that has been used to escalate rents throughout the region. Federal – Works with both the National Low-Income Housing Coalition (NLIHC) and the National Alliance of HUD Tenants (NAHT) to address Federal housing policy issues to protect local tenants in Federally-assisted housing. Most importantly, MVUT is a membership organization. We need YOU to help build our strength! Join today and encourage others in your building to join as well.